The data centre is a substantial investment, for a corporate or a service provider and needs to be understood in investment terms. Whilst most operators now know what their PUE is and the industry is full of products offering efficiency the data centre market is still quite inefficient. 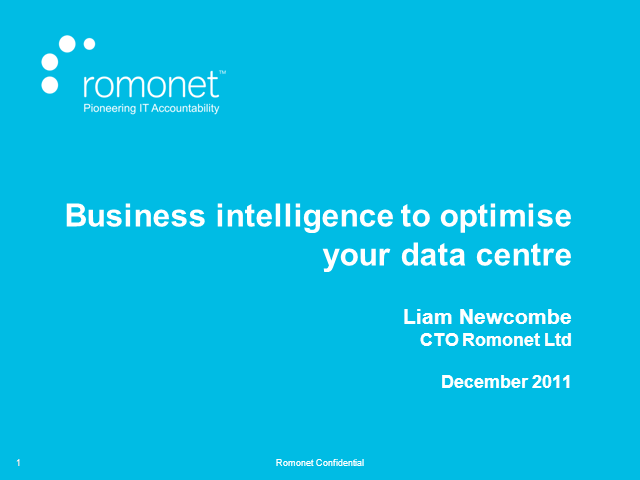 In most organisations there is still significant cost and financial risk to be driven out of the data centre. Market changes and the hype around cloud are creating a price pressure on both corporate and service provider data centres, some will come out fitter and leaner, others will not survive the transition.